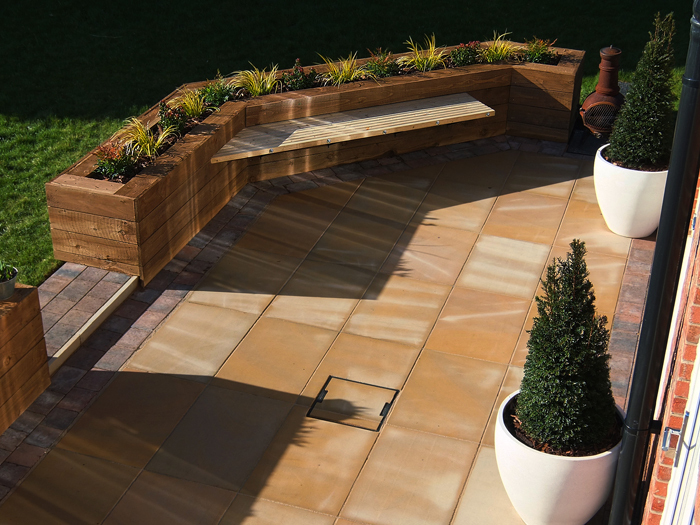 Contemporary rear garden with sawn walnut sandstone paving framed with a Plaspave Modena granite block. 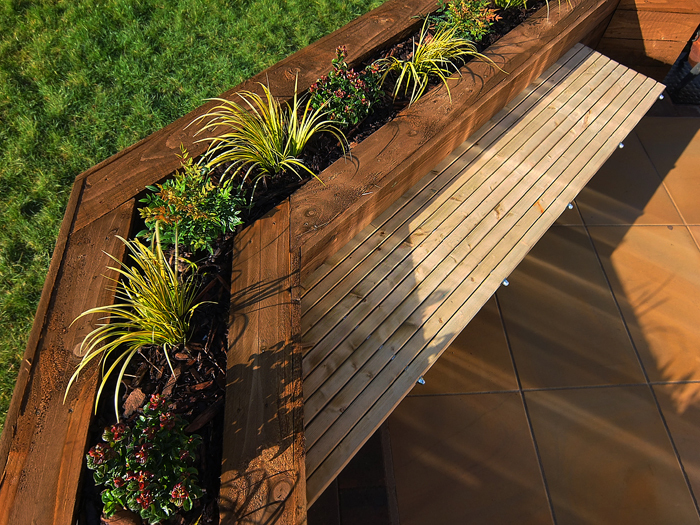 Raised angular planters are clad with rough sawn timber and stained. 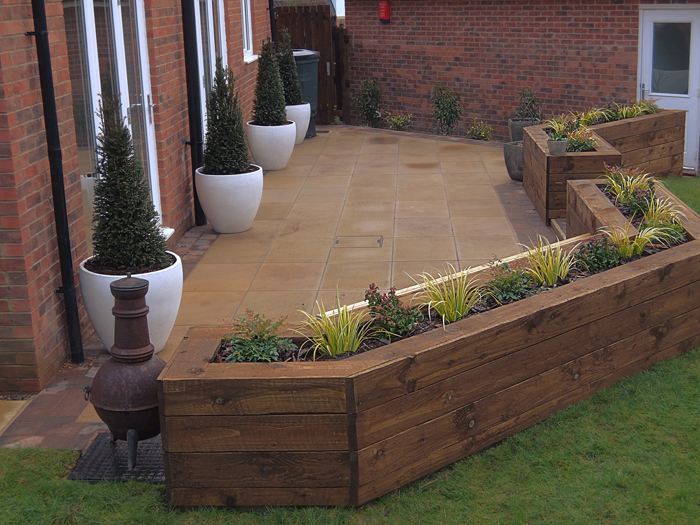 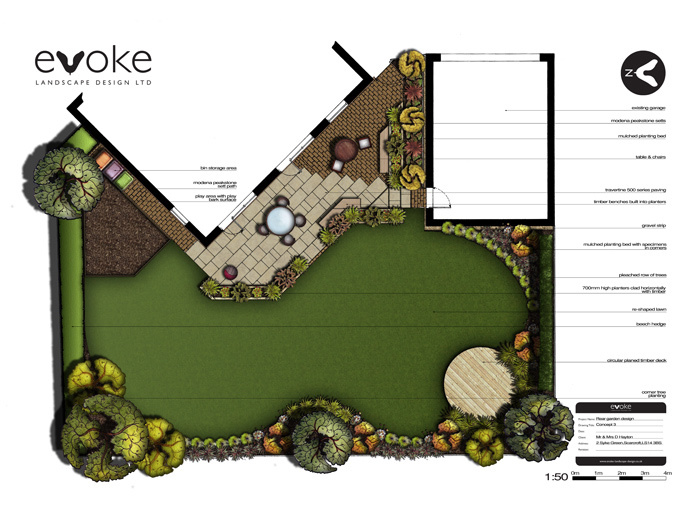 A new planting scheme throughout helped to unify the entire garden area.